Great CD Featuring the new club hit Jersey Anthem. 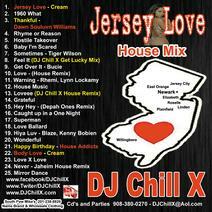 A blend of your favorite new House music, R&B house remixes with a few classics sprinkled in!! A Must have! !